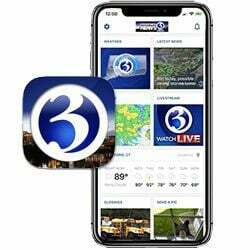 When you're on the go, take the Channel 3 App with you. Get continually updated local news, sports, traffic and weather on your phone or tablet! Get your local high school Friday Night Football scores in the palm of your hand!